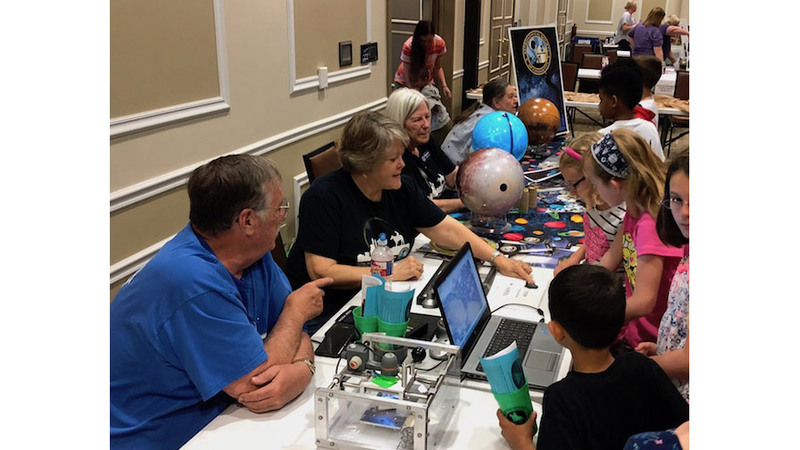 Every day astronomy clubs across the country perform outstanding outreach in their communities. This month, Night Sky Network member clubs reached a new milestone of 4 million people interacting with NASA resources and activities! The milestone event was the Astronomical Society of Kansas City's Earth Day event at the Ft. Leavenworth Army Base. Here's a quote from Jackie Beucher, VP of ASKC and NSN Coordinator. "The US Army’s Fort Leavenworth in Kansas, is on a bluff over the Missouri River north of Kansas City. For Earth Day this year, they had exhibitors set up in the recreation room and we were kept busy for the entire 5 hours, while 1200 children from the four elementary schools on the base came by – not all at once, thankfully. We had a celestial globe, and one of Mars and Pluto, as well as quite a few meteorites. The children were very excited with everything. The gratification for us was doubled, as they are the children of our soldiers. It is a joy for us to attend these events, and materials sent to us from NSN are very helpful – THANK YOU VERY MUCH!" Thanks to all of the amazing clubs across the country who have tirelessly done outreach: you made this milestone possible! You are heroes in your own right, and may you all share the wonders of the heavens with millions more people! Did you know that there are an average of 20+ events each night across the country? 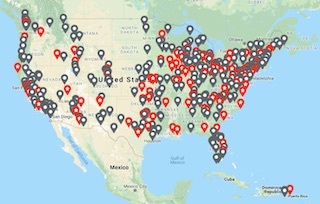 Find an astronomy club near you and start looking up!